A literal sea of blue. Variants of teal are the 2017 hot colors, with every major manufacturer (especially in apparel sector) the blue train is cool, but this is not the cyan”y” product pop from years back, this is new deep teals and sea blues, combined with neutral and cool gray’s used as body colors and accents. The palette is shifting from the aubergines and burnt oranges of years past. To get the obvious out of the way – packs, gps devices, watches these are all wearable categories. Over time some of the categories have been bombarded by additions which have tried to enhance the value by addressing a further consumer need like illumination, audio, solar cells but all that hype and the embedded circuitry has fallen wayside maybe due to lack of consumer demand. How common is it to see solar panels on a backpack or a jacket? The tech is developed but there is no consumer sense, then there are very low tech additions like what Pacsafe are doing in wearable security, enhancing a category with hardware to address a need. Secure backpacks. This low tech in the form of wearables or sub wearables is niche but could be growing. Over half or more of Outdoor Industry is in apparel, fabric and shoes where tech has always driven the high end. As such performance materials were developed in mass to feed consumerism , this was in a vacuum to environmental concerns for many years. Some materials companies had good practices, others not, but there was no clear way of understanding the stream. Coatings, lamination’s made up a lot of this tech and its what fabric suppliers sold on, but of recent years the outdoor industry has been demanding eco solutions as realizations of toxicity and pollution became apparent. Now more than ever there is legitimate concern about the evo cycle and brands demanding proven cradle to grave information with suppliers, as manufacturing transparency has become a thing that companies like to talk about in consumer marketing. No more green washing. This voice for eco resonates with consumers and such the most eco advanced products and transparently operating brands are the premium talking points. Dyes and DWR’s being the most prevalent in consumer language. Eco Advocacy and process transparency from a brand language. When did the outdoors become Bottles, Coolers and Speakers! Of the last two to three years a few large product trends have become mature. The explosion in waterbottles, all shapes and sizes, colours and coatings. 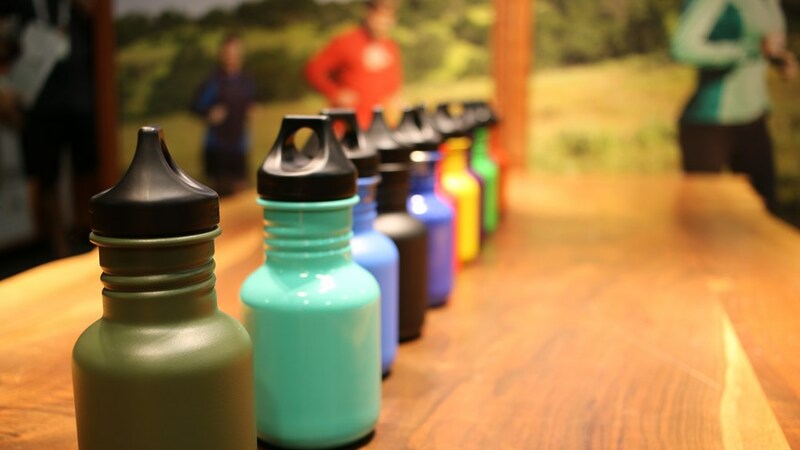 – my guess is in part started from the anti bpa movement of nalgene. The industry shows a +7% increase in volume this year (npd data) and 24% growth last year. Now more than ever manufacturers are talking about next level features such as rugged coatings, double wall vacuums, nozzles and clips, but the market is mature and reached saturation. Bluetooth rechargeable speakers, your camp activity is incomplete without one (apparently). the maturity of this technology has allowed small companies to explore multiple form factors and reach price points which are not shocking and more consumables. Bluetooth is commonplace and usb charging is a known. The market is saturated with offerings to make your outdoor experience rock on. Along with small electronic speaker things, the advent of solar panels is here. They are being included by most if not all the small electronic manufacturers as a way to charge devices. From a tech cycle, this shows that it has matured enough to become widespread. Total market is up by 43% this year but this number may also include small electronics like the speakers cat above. The making of super high end coolers – Yeti started this from game and fishing coolers moving into camp and more general outdoor markets and opened the doors to all the fast followers Otterbox, Pelican to name a few, wanting a share of the lucrative $250 to $500 market. spin off’s and variants are common place all with the look of a Yeti, sometimes even down to similar straps and construction style. As this product gets more mainstream demand look for the retail price to go down. Hammocks – yes walk into any outdoor store nowadays and you will see them – hammocks are a big deal, lots of manufacturers, same basic designs. The amount of product has created a new category that appeals to many ages, backpackers, car campers or just yard crashers. The appeal of a hammock is universally associated as a way to enjoy outside. Three of my favorites from the show, in each case the innovation was authentic to brand, consumer based and had some story or resonated with a relevant outdoor theme.